For all that contemporary craft beer culture was built in large part upon beers that strove to be distinct from mainstream offerings, as the industry has matured, a growing number of breweries have sought to entice new drinkers with beers mere degrees from those that still dominate consumption in Australia. And often, as they look to tap into the reliability of a local audience rather than the sort of drinker willing to travel for a new experience, they're doing so by putting their locale front and centre. From Pirate Life’s Port Local Lager, brewed with the owners of the Port Admiral Hotel, a pub that will soon be the brewery's neighbour once the doors to their second site are open, to Feral's Perth Local, a beer that's a long way from the trailblazing beers with which the brewery made its name and which is only sold in the city that bears the beer's name, you don't have to look hard to find examples. Even Akasha, a brewery with a penchant for putting ever-increasing numbers of “I”s in front of its IPAs, brews Canada Bay Ale for its local market, while Chris and Gab Moore at Sailors Grave shied away from their trademark esoteric approach and managed to avoid the temptation to plunder the coastline for foraged ingredients when creating the meat-and-two-veg Sou' East Draught for the people of Gippsland. It's a facet of this most dynamic section of the industry – one that enjoys highlighting the contrasts between its beers, community and stories with those of the world's largest brewing companies and making bold statements with beer – that can feel counterintuitive. 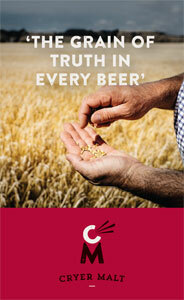 So where does this focus on creating often lower-priced, simpler beers fit? Is it at odds with the craft beer world's lofty aims? Or is looking to work with and win over your local community very much central to what being a brewery is all about? 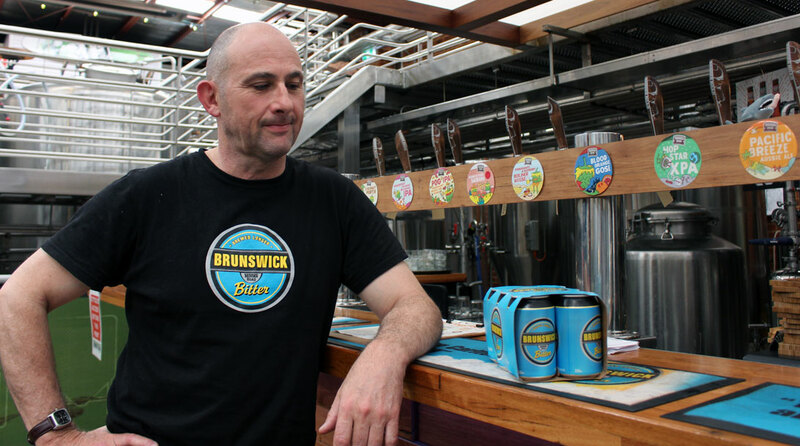 Thunder Road founder Philip Withers and the brewery's flagship, Brunswick Bitter. Well before most local breweries were namechecking their suburb or street on a lager or pale ale, Thunder Road was brewing Brunswick Bitter. Phil Withers, who started the brewery in 2011, has arguably always approached the beer industry a little differently to his peers. Back when most were focusing on ales, Thunder Road launched with Full Steam Lager, a beer soon followed by Brunswick Bitter. Phil describes the brewery's flagship as their take on a classic Australian pale ale, the sort of beer you might have enjoyed in 1950s. As the beer for which the brewery is best known, it’s easy to assume Brunswick Bitter was always part of a grand plan but its rise was actually quite the surprise, particularly for Phil. “I spent a fortune on all the designs for Thunder Road back then," Phil says, yet with Brunswick Bitter he designed and drew the logo himself. Brunswick Bitter was later followed by Collingwood Draught, an Australian lager with which Phil wanted to appeal to drinkers who'd spent years drinking CUB beers, viewing an accessible beer focused on locals as one with the potential to draw drinkers away from the country’s major beer brands. He believes putting a suburb's name on a beer has an appeal that goes beyond local drinkers too. While Thunder Road is best known for Brunswick Bitter and its other broad appeal beers, despite a growing roster of collaborations with bars, big IPAs, spiced saisons and fruit sours lining the taps at its brewery home, a brewery more readily associated with bold IPAs has also dipped its toes into local waters in the past few months. Modus Operandi's "Classic. Draught. Beer." 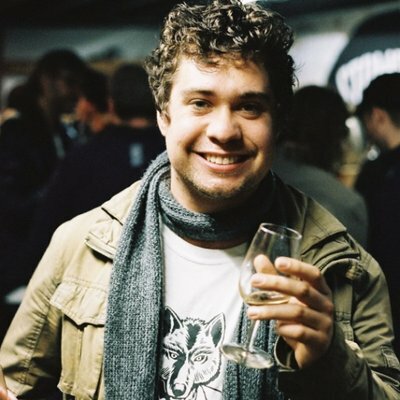 Grant Wearin, who launched the brewery with wife Jaz, says the beer name was chosen – like many of Modus' releases – with “tongue planted firmly in the side of the cheek” and brewed with their local boaties in mind. For Modus, the beer remains a small release and rarely makes it far from the Mona Vale cellar door, mostly moving through local venues and bottleshops. Yet Grant says working closely with their local community has been part of the Modus story from day one and believes connecting with those in your backyard is an important way in which small breweries can convert people. Designing such beers isn't without its challenges, however. Where exactly do you pitch a beer in terms of flavour profile and how do you go about finding a name that achieves its goals without running contrary to your wider range? 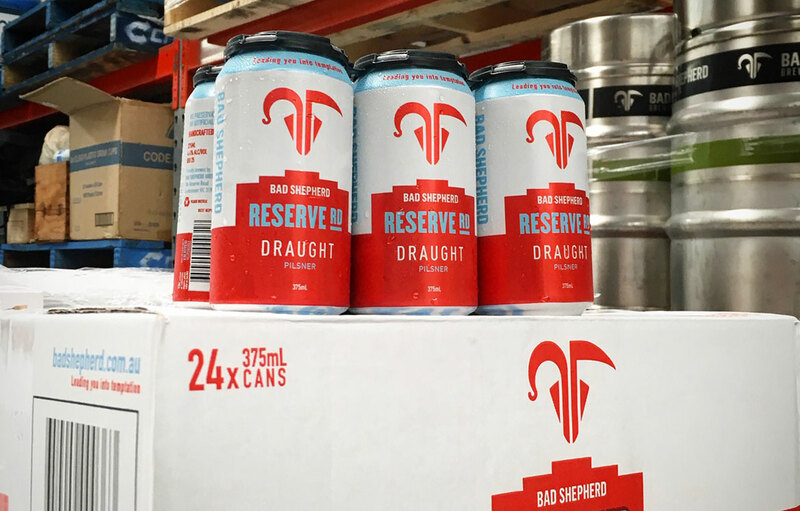 When Bad Shepherd first launched tinnies of Reserve Rd Draught, named for the thoroughfare that passes the Cheltenham brewpub, late in 2017 it came with a fair amount of hesitancy for brewery co-owner Dereck Hales. Indeed, we received a call from him at The Crafty Pint as he mulled over the name. The beer was inspired by classic Czech pilsners rather than Australian bastardisations of such beers yet he was worried calling it "Pilsner" might put off or confuse some in the intended audience. At the same time, the brewing purist in him struggled with calling a beer "Draught", not just because of its association with other brands but also because the beer would be available in cans rather than solely in draught form. “Draught effectively means nothing in terms of a flavour variant or as a descriptor,” he says, pointing to the ubiquity of the term in Victoria thanks to Carlton Draught’s long history and deep roots in the state. Hence they came up with something of a compromise: under the word "DRAUGHT", in slightly smaller letters, is "PILSNER". In the end, the use of both terms has offered different venues flexibility with how they choose to sell the beer. Bad Shepherd's Reserve Rd Draught (Pilsner), complete with an outline of the brewpub on the cans. The choice of name breweries decide to give their local beer is far from an exact science, with beer names like bitter, draught and lager amorphous and open to change. 3 Ravens' Thornbury Lager, a pilsner made with Australian hops that first appeared on tap in 2016, became Thornbury Pilsner when the brewery relaunched its core range last year. According to head brewer Brendan O’Sullivan, they made the change in response to what they were hearing from customers. 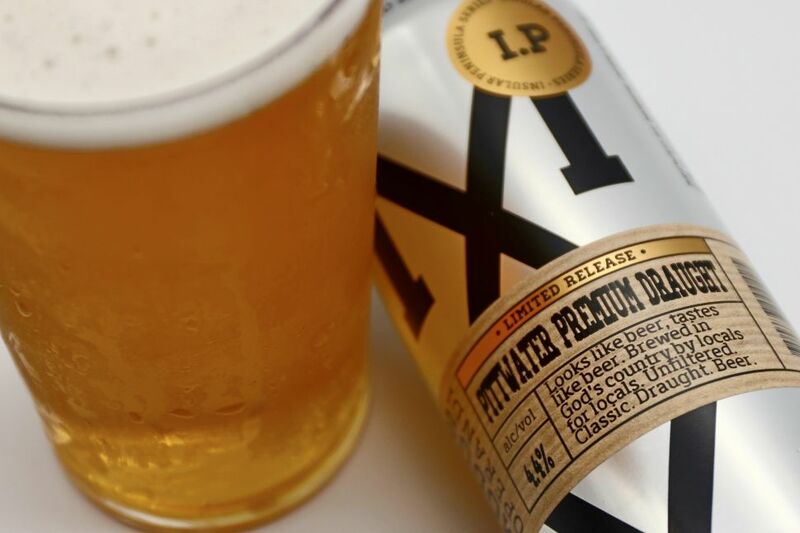 He adds that, while they initially felt drinkers might be scared off by the term pilsner, they haven't experienced any negative feedback since the change, suggesting Australians are becoming fairly aware of the style. 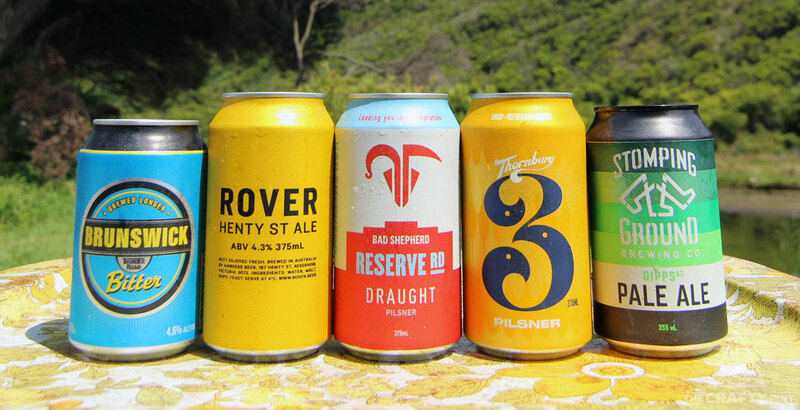 And, while the main driver behind developing Bad Shepherd's locals beer was to have a beer on tap and in cans that would appeal to locals seeking something approachable, Dereck also sees the beer as a useful tool with which they can work with retailers and drinkers in their local market. And it's that connection with their closest customers that is crucial for so many small breweries, particularly in an era when provenance and trends towards hyper-local are becoming increasingly important for consumers in society as a whole. The release of the brewery’s Victoria Pale Ale – a beer in which all ingredients are sourced from within the state, including an historic yeast strain – was driven by a similar ethos and a desire to promote Bad Shepherd's independent, Victorian and family-owned status. “If you’re not going after a high volume and scale mentality then I think you have to have something that has that wide local appeal,” Dereck says, with local venues essential advocates when trying to carve out a space in the market. While some venues might be nervous about tapping a beer that literally advertises how close the brewery behind it is, he says showing you're genuine about forming partnerships with your local pubs and clubs indicates you aren't trying to compete with them. “If someone is kind enough to put our beer on then we’ll always try to push people their way, whether that’s through our social media channels or through events at their place,” he says. Photo at top shows (left to right): Thunder Road Brunswick Bitter; Henty St Ale, from Hawkers' second brand Rover, which is named after the brewery's location in Reservoir; Bad Shepherd Reserve Rd Draught; 3 Ravens Thornbury Pilsner; Stomping Ground Gipps St Pale, named after the brewery's location in Collingwood.